AFC South Blogger Paul Kuharsky at ESPN talks today about commish Roger Goodell calling a Colts blogger about the lockout after the blogger wasn’t happy with his answers during a call with season ticket holders. When Roger Goodell learned that Nate Dunlevy found a recent conference call with Indianapolis Colts season-ticket holders a “waste,” the NFL commissioner tracked Dunlevy down in Argentina for a one-on-one phone chat. Dunlevy, who writes a Colts blog called 18to88, wrote of the conversation at his site on Monday. Goodell has been holding conference calls with season-ticket fan bases around the league during the NFL lockout. 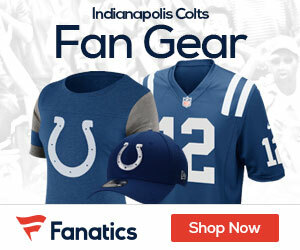 Dunlevy, the author of the book “Blue Blood: Takes of Glory of the Indianapolis Colts,” tweeted of his disappointment after the call with Indianapolis fans and was then central in a post on ESPN.com’s AFC South Blog about the conference call.